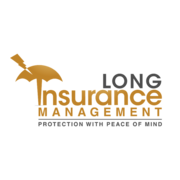 Rate and review Long Insurance Management in Milwaukee, WI, United States! Share your experiences at Long Insurance Management with your friends or discover more Insurance Companies in Milwaukee, WI, United States. ★★★ Place order with Loca Authorized dealer of the company in your town. Industrial Finishing Co. of Racine, Inc.